Comments: An old Japanese cultivar grown for its yellow speckling on green leaves. 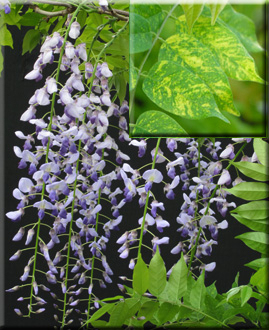 Slightly fragrant flowers are in the purple-blue range. Wise to prune out green shoots to enhance the variegated effect.